As we all perceiving Paris as the shopping paradise, and we will always have Paris. Here we provide you with all kinds of helpful tips that definitely will make it convenient for your exclusive tax-free shopping journey. 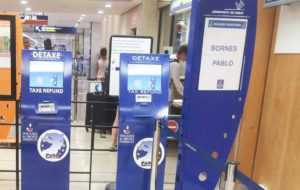 Reminder: You must show your passport as well as your visas if needed in the tax-free shops. What type of products will not be allowed for doing tax-free or tax-refund? The goods sold in the Louvre duty-free shop in Paris do not belong to the categories above. If you have questions you can contact the customs for more details. 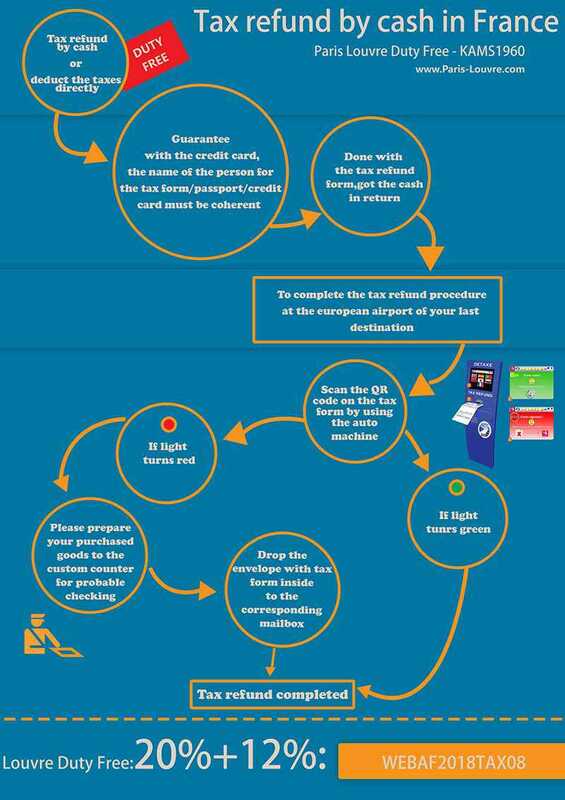 How to complete the Tax-free procedure in France or any other European countries? The tax-free procedure must be executed within the same day as you purchase the products. The amount purchased in the same store needs more than 175 euros. You must scan the tax refund before leaving the European Union within three months of purchase, and you will not be entitled to a refund if it exceeds three months. You must carry the product you purchased for verification when checking. 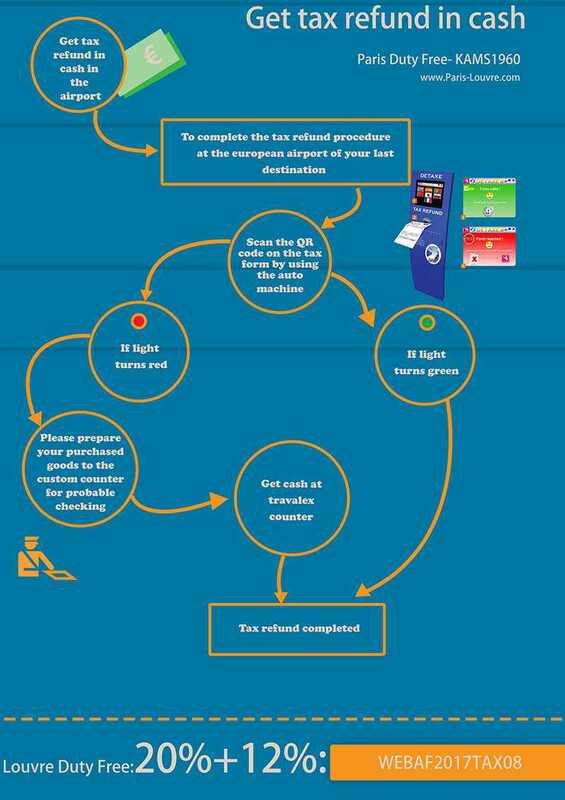 Operating online, you just need to scan the code bar on the top of your tax refund form before dropping into the mailboxes correspondent in the airport. How do you wish to receive your tax refund? 1.Collect your tax refund by cash in the local shops or deduct the taxes directly (In our Paris Duty Free Shop, we provide you the shopping experiences with convenience by the tax deduction immediately. Reminder: If you are leaving Europe via different countries, we suggest you to go shopping in the country, which is your last destination. -If the Tax refund is manually system, you will need to send your shopping receipts, which has already been stamped by the customs to the shops where you have purchased. 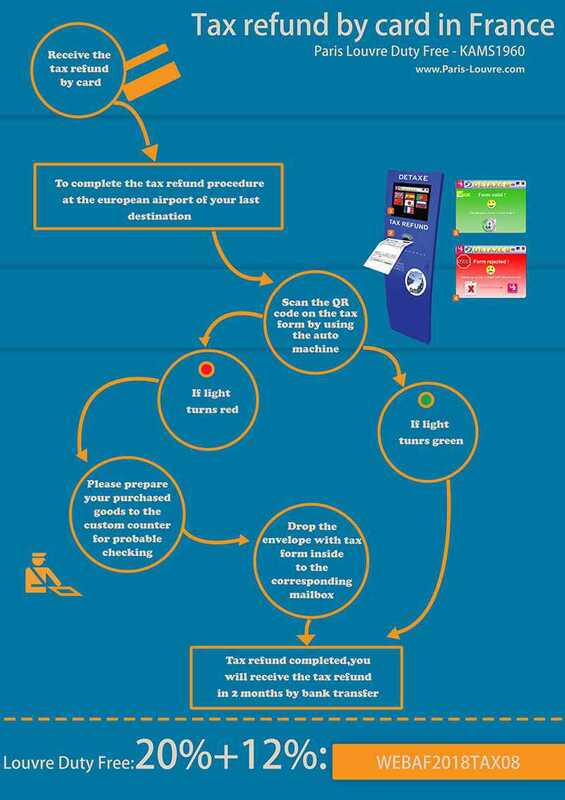 -If the Tax refund is electronic automatic Pabblo system, simply you will just need to scan the code bar on your tax form in the airport before you leaving. You have to declare to the custom for the products that you have purchased. 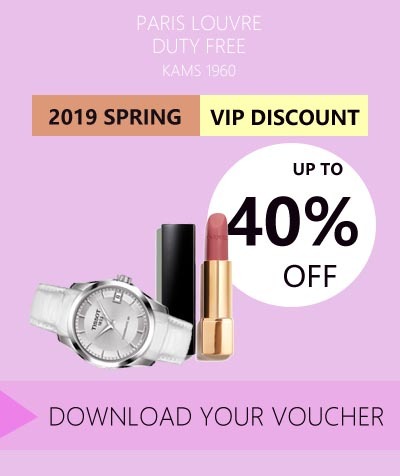 Get this voucher and enjoy the special offers in Paris Louvre Duty-Free KAM'S.